Your friends and family text and you've been left out of the conversation. It's time to get back in. Maybe it's an announcement that your niece had the baby. Or your son sent his flight information for his trip back home. Maybe it's a picture of your granddaughter on her first day of school. Whatever the news is, your loved ones are likely communicating it via text message. But if you don't use a cell phone to text, where does that leave you? It's time to once again be part of the conversation with those you love. Frontier Residential Texting is the immediate and convenient way to text with friends and family via your home phone. Why Do You Need Texting? Use the Web app and/or download the desktop app. No new equipment necessary. 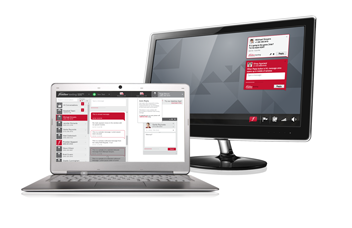 Send and receive text messages through your existing home phone number from your computer. No cell phone plan required. 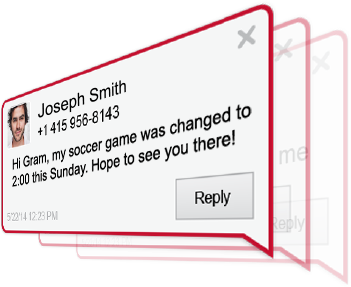 Check for new text message notifications on the Web app or desktop app. Read text messages and reply via text from your computer. Retrieve text messages anytime from your desktop or laptop computer—they're stored in the Cloud. Select a Frontier Residential Texting plan that fits your needs and budget. **Discounted price shown for subscribers with a qualifying package of Frontier residential voice and Internet. Frontier Texting service requires a Frontier voice plan. A one-time $10 activation fee applies. Frontier reserves the right to withdraw this offer at any time. Taxes, fees and other restrictions apply.